The Spanish canning company Jealsa listened to calls from pro-Saharawi groups and recently moved its production from occupied Western Sahara to Spain. Sardines sold in the Spanish supermarkets under the brand name Hacendado are not longer from occupied Western Sahara. The canning company Jealsa, which sold much of its produce in a large chain Mercadona, has announceds its halt of operations in the territory occupied by Morocco. Jealsa has for a number of years been operating a sardine canning factory in El Aaiun, Western Sahara. These operations are now instead located in A Coruña, Spain. 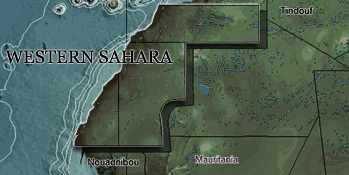 The announcement was made directly to Western Sahara Resource Watch. Read statement here (in Spanish). Pro-Saharawi activists have been protesting both against Jealsa and the supermarket chains on a number of occasions all over Spain the last years.